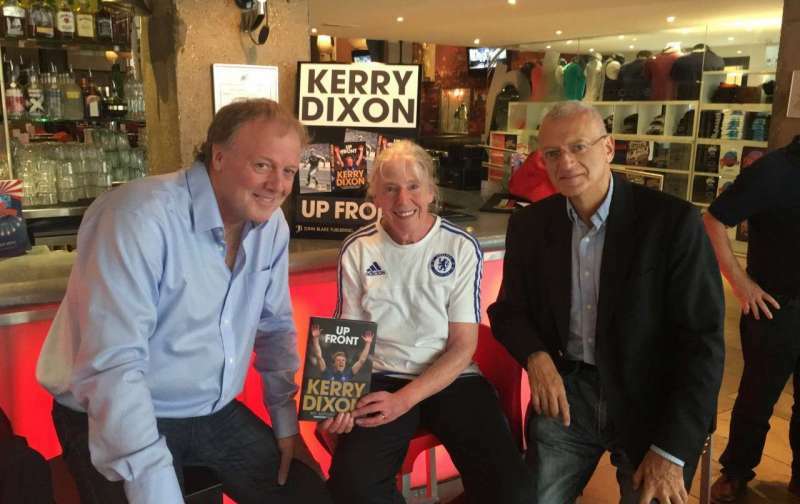 In the new film series ‘Legends Lives – Kerry Dixon’, screened in London in two weeks, the former England and Chelsea icon offers to help young players avoid the pitfalls that has send his own formidable career spiralling out of control. The film of his remarkable life story will be screened at premiere at the Sanctum Soho cinema with several big name legends attending to support Dixon in his continuing rehabilitation and remember his former glories. In a video released today about the new film, Dixon talks passionately about how he wants to help young footballers side step the multiple problems that pushed him to rock bottom, and how he is now determined to rebuild his life. The film is a no-holds-barred look at his fall from grace from the striker described in the film by Pat Nevin as ‘world class’. In the film Dixon offers to show the new generation of footballers how easily it can all go pear-shaped, and how best to avoid it. Dixon says: “Football can bring its privileges but they are young men first and foremost and while they should be chasing their dreams at every opportunity, they are still young men and can make mistakes. Dixon is now working relentlessly to reinvent himself as a footballing legend, to be remembered for his ups, not just his downs. In the film there are numerous tributes to the striker who often challenged Gary Lineker for the Golden Boot during his heyday.